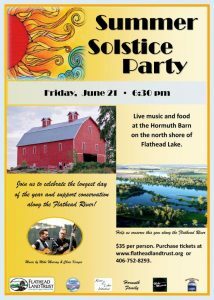 Join Flathead Land Trust, Flathead Lakers and the Flathead River to Lake Initiative partners to celebrate the longest day of the year, and support new conservation along the Flathead River. 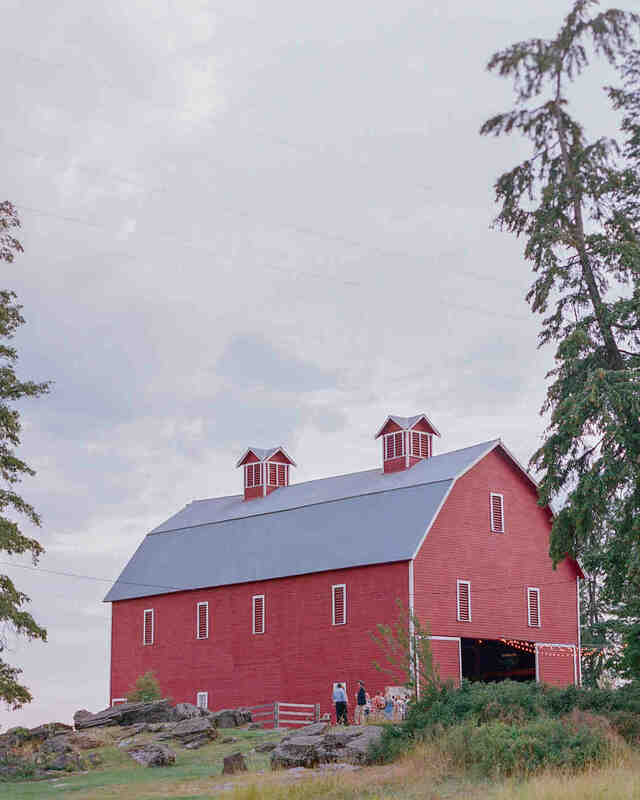 The event will take place at a refurbished and historic barn along the river and the north shore of Flathead Lake (Hormuth’s Rivers End Ranch – 180 Oldenburg Road, Bigfork). Music will be provided by Mike Murray, along with an assortment of locally grown food options and drinks. The event will not only celebrate a magical place and the beauty of the Flathead River and Flathead Lake, but also will raise funding critical for the conservation of 155 acres of land along a very important part of the river called the Flathead River Conservation Project. It’s about protecting clean water, room to roam for wildlife, and connecting a critical piece of land along the river to other conserved lands. By attending this fun kickoff to summer, you can help make make permanent conservation of this special place possible. 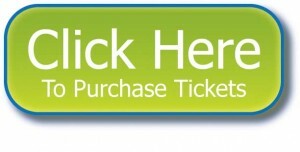 Tickets are available for $35 each. There’s limited room so don’t wait! Contact us at info@flatheadlandtrust.org or 752-8293 for more info.